Coming to Luang Prabang was a bit of a culture shock coming from our last location of Chiang Mai. And then after our first day in LP, I had a bit of culture shock again. Shonna (my traveling companion/cousin) and I decided to go on a hike/trek for our first full day in LP, guided by one of the hotel staff, Vaht (pronounced Wat). Vaht told us we’d be going on a 2.5 tour trek up the hills where we would stop at a small village and then have a 2 hour trek back down. He also told us we’d pick up some shampoo or soap to bring with us on the trek. When our car stopped at a small mart on our way to our starting point, Shonna and I were a bit confused about the soap situation (the general theme of this trip being confusion with what we’re doing on a daily basis) so we didn’t purchase too much (we didn’t want to carry it, let’s be honest). So we parked the car (about an hour from LP) and started our trek through the jungle. We passed some rice farmers and small huts on our way up. It was a challenging trek, and let me tell you being covered in deet and sweating from every inch of your body makes it even more of a struggle. 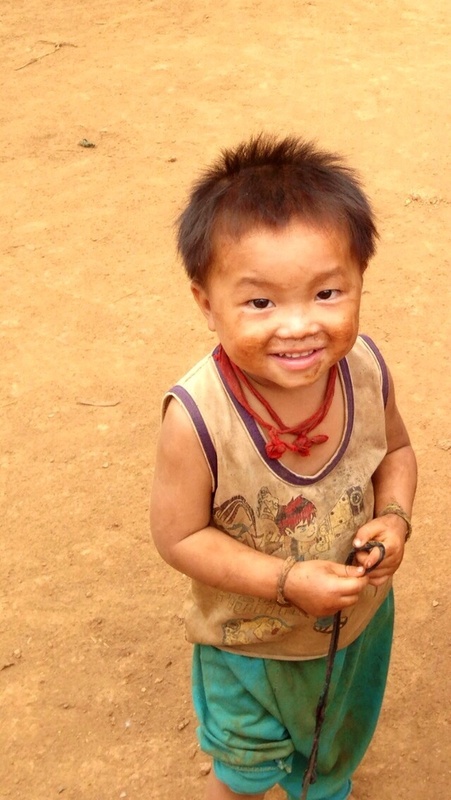 When we finally reached the village, we were approached by some small children covered head to toe in dirt. We had brought candy to give to them and would yell “conom, conom,” and hand them each a couple pieces. They were so beautiful and appreciative and not at all shy. Walking around the village we could see that everyone who lived there was wearing old clothes rarely washed, perhaps a pair of flip flops, and in general just very dirty. I suddenly realized why we needed the soap. Vaht told us we’d demonstrate how to use the soap for the children. I would attach pictures, but I look like I had just taken a shower so I will spare you from seeing me at my glossiest moment. After the demonstration we had each kid wash their hands for us, then after we saw their clean hands we gave them each their own bar of soap. The smiles on their faces grew so wide I couldn’t help but smile too. The sad fact is, they were happy to receive a bar of soap, something so minuscule I often forget how important it is to just have a clean hand to eat my food with, something I clearly take for granted on a daily basis. 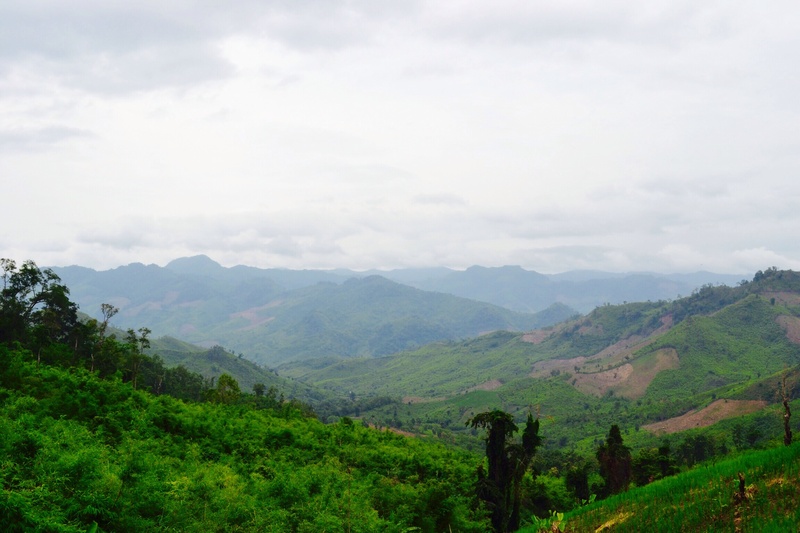 We continued to walk around the village then walked a little ways further to the village of the Hmong people. The smaller of the two villages, these people lived similarly to the first – in bamboo huts, thatched rooves, dirt floors, and roaming livestock around the village. No running water or electricity are found at these villages, yet they actually have satellites for tv. The little children are what shocked me the most. Almost half were wearing old ratty t-shirts and no underwear. After bringing over 600 pairs with us from the US, Shonna and I were upset to not have understood the need of these extremely poor people, and we didn’t get to bring any of the underwear with us on our trek. 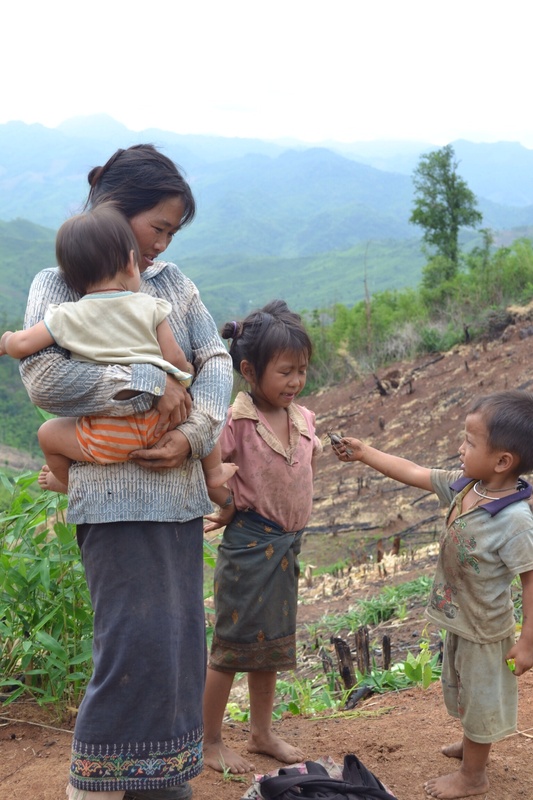 The biggest problem for these Hmong people is their health, and their inability to access a hospital or doctor when ill. 20% of their childbirth results in death (of either mother or child), we later learned, which was very obvious once we thought about mothers giving birth on dirt floors without any medical help. While these people may not have soap or even toothbrushes, they are still very happy. In contrast with the touristy town of LP, the rest of the country is inundated with poverty, something many travelers may never know if they never leave the sheltered city center. It’s hard to capture the simplistic beauty of a people who appear so poor but are so rich in culture, community, and life. They are content rice farmers, sustainable livers, growers, and families. They live in an amazing place surrounded by hills and greenery that took my breath away. Vaht taught us a lot about the culture of the Lao people, as he came from a village another 2 hours away from the ones we visited. It’s only possible to access these villages by foot or by motor bike, so often times the people never even visit the city of LP and may never have left the hillside. We learned a lot about marriage and their spiritual religion and how peaceful these people are together. It’s a shame comparing the United States with such a third world country where people are so much more content here than I could ever imagine those at home to be. This year I learned a lot about money and happiness, and how often times those who have more are not necessarily happier. Visiting the villages made that all the more clear to me. I want to give what I can, but knowing that it will never be enough. This trip to Southeast Asia was important for Shonna and I for many reasons, but our stumbling upon these villages made it all that more significant why we came. 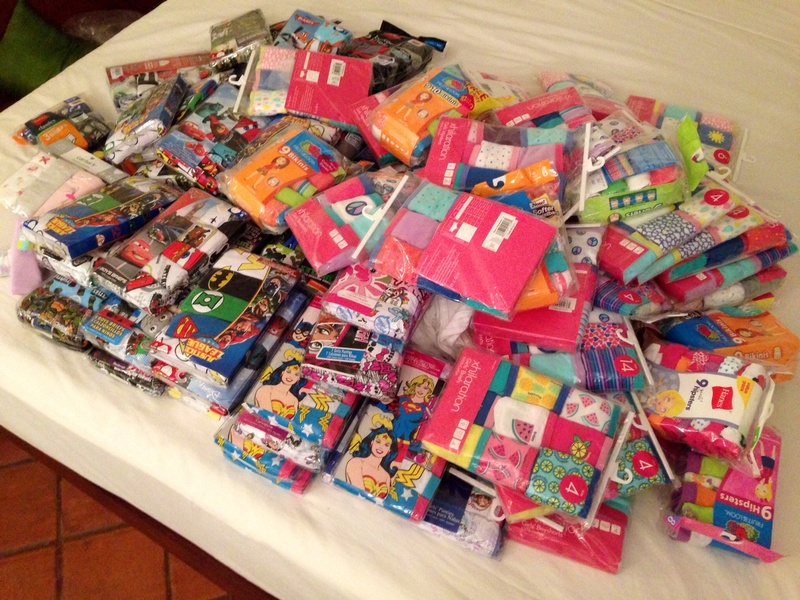 We decided to give Vaht about 100 pairs of our 625 children’s underwear meant for the orphanages and he will give those out the next time he visits. There are over 400 people living in the first village and some less in the second, so I am sure that not all the children there will receive a new pair of underwear, but we are happy to help nonetheless. We visited the orphanages today, Wednesday, and decided to put the remainder of the $1,800 we raised towards sponsoring 3 students who will leave the orphanage and attend university in LP. This will cover room, food, and their education for the next 4 years. Here in Laos, a small amount makes a HUGE difference, something I truly failed to realize until I got here. It has been an eye opening experience traveling around this part of the world in only one week and I am eager to find out what is left to discover before we leave. Thank you to everyone who supported us with your donations and helped us get here. Your monetary and emotional support is invaluable, and has truly changed the lives of people here. We are so grateful.